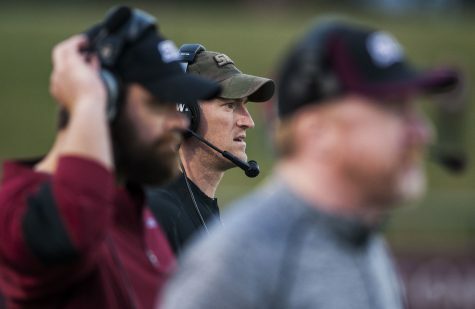 Saluki football finally has a conference win under its belt. 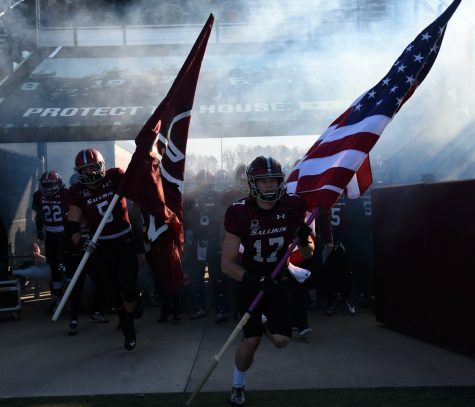 SIU withstood South Dakota’s fourth-quarter comeback bid to defeat the Coyotes 35-28. 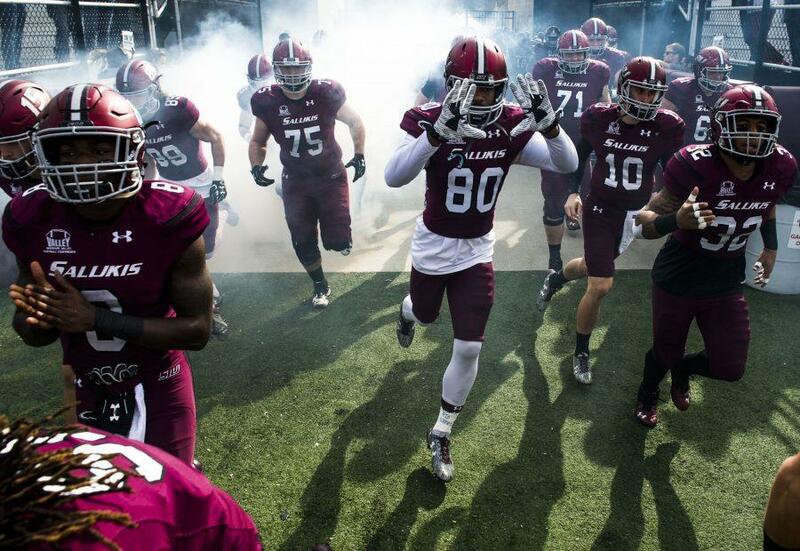 The Salukis (3-6, 1-5 Missouri Valley Football Conference) had a 21-point lead entering the final quarter. 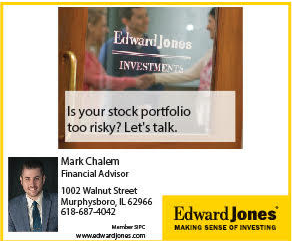 A 34-yard rush by sophomore running back Michael Fredrick kept South Dakota (4-5, 3-3 MVFC) in striking range to make the score 35-21 with 7:30 left to play. 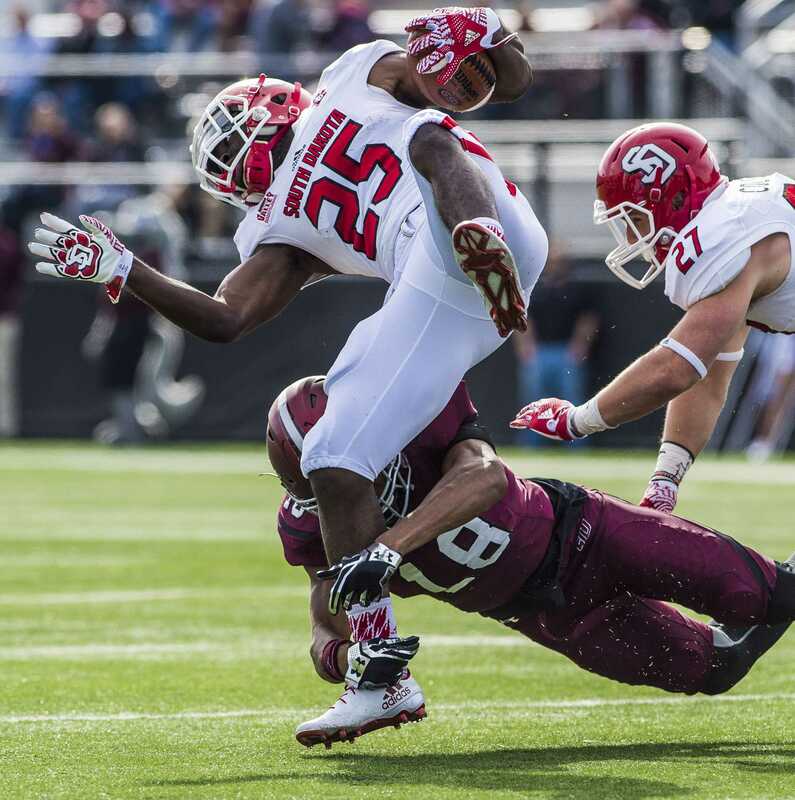 With 2:35 left to play, junior receiver Alonge Brooks caught a 27-yard pass from junior quarterback Chris Streveler for a South Dakota score that cut SIU’s lead to seven. The Salukis were unable to extend their lead in the corresponding drive and had to give the ball back to the Coyotes. 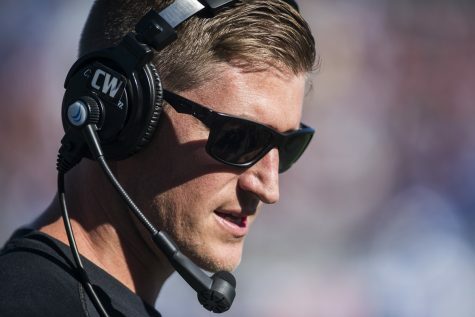 After three pass interference penalties, South Dakota reached the five-yard line and ran four plays, one even after the game was presumed to be over, but was unable to punch it in. Both teams had converged on the field to shake hands after the clock struck zero the first time, but officials were performing an unannounced review and deemed there was a second left in the game for the Coyotes to have one final play. 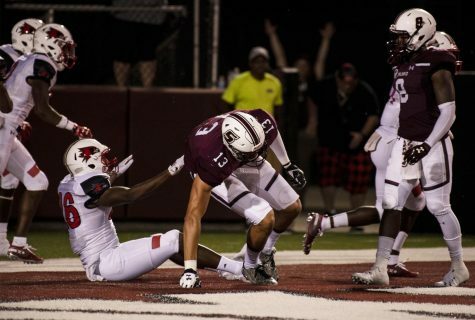 While the end of the game was rough for the Salukis, most of it was not. 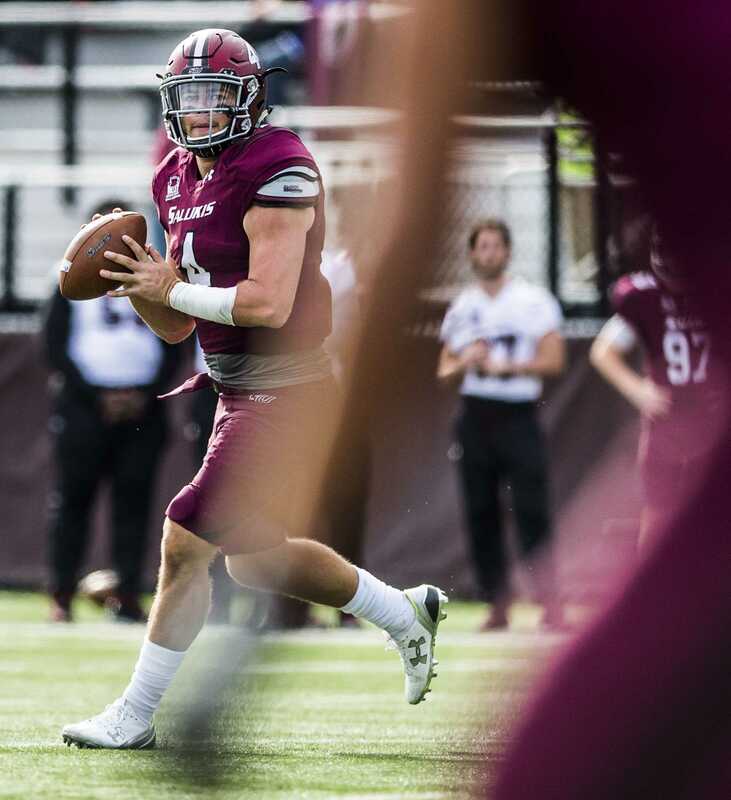 SIU got in the scoring column first as sophomore quarterback Sam Straub threw a seven-yard pass to junior fullback Hans Carmien, putting the Salukis up 7-0. Straub excelled in his first career start in place of benched senior Josh Straughan. Hill said he made the decision to start Straub because the team needed a spark to its offense. 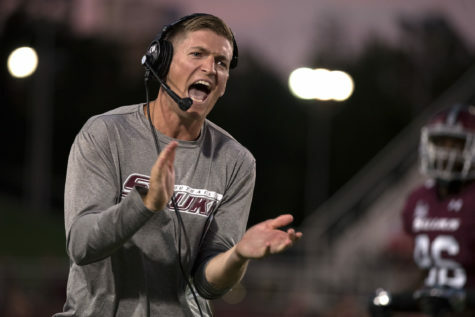 He eclipsed 400 yards of total offense, the first time a Saluki accomplished that since Mark Iannotti did last year against Illinois State. The sophomore completed 19 of his 34 passes for 339 yards and two touchdowns, adding 68 yards and a touchdown on the ground. The first year coach said Straub will be the starter next week against Youngstown State. 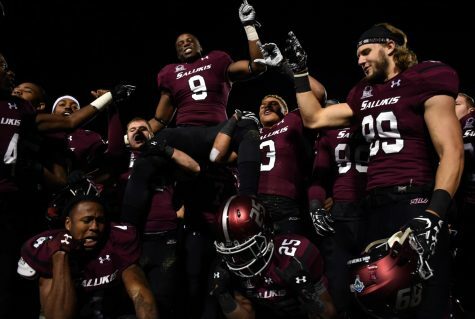 Overall, SIU outgained the Coyotes 574-444. 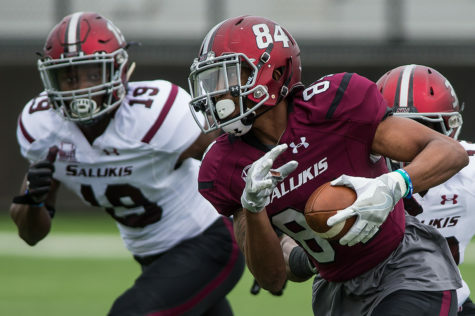 South Dakota wasn’t able to respond to SIU’s touchdown until the second quarter, when Streveler threw a 57-yard pass to Brooks to tie the score at seven. Redshirt freshman linebacker Airan Reed caught his first career interception in his first start as a Saluki. 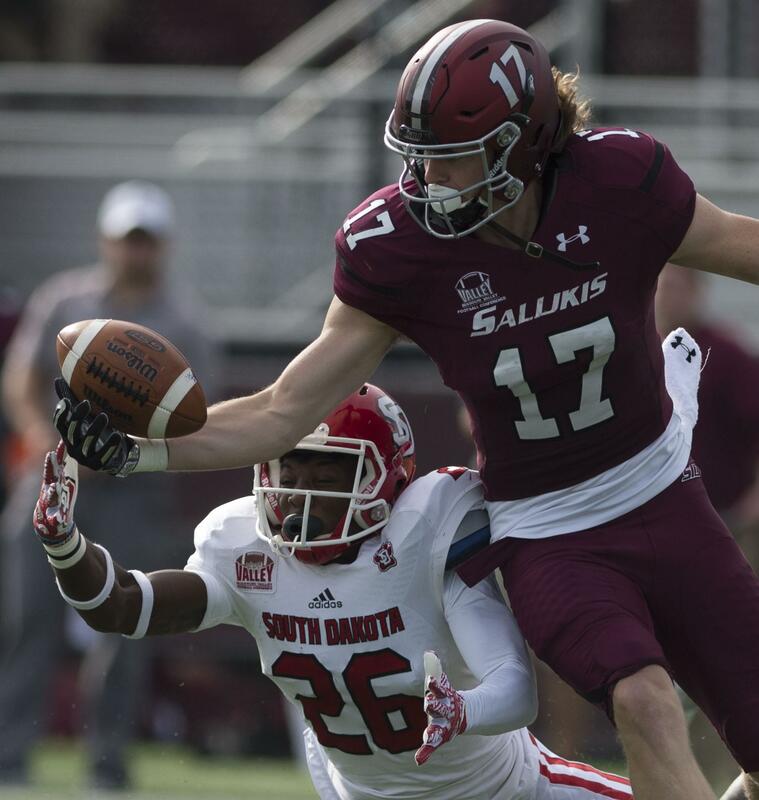 SIU forced two interceptions in the game. South Dakota converted only one of its 15 third-down opportunities. 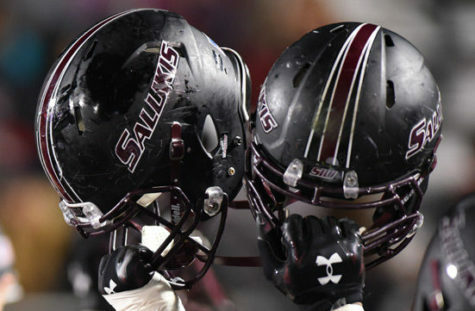 SIU scored two times in the second quarter. Both were runs, one each from junior running backs Jonathan Mixon and Cameron Walter. The Salukis would lead 21-7 going into halftime. Senior receiver Israel Lamprakes caught his first touchdown of the game, a 31-yard pass from Straub in the third quarter. It was his second game in a row with a touchdown. 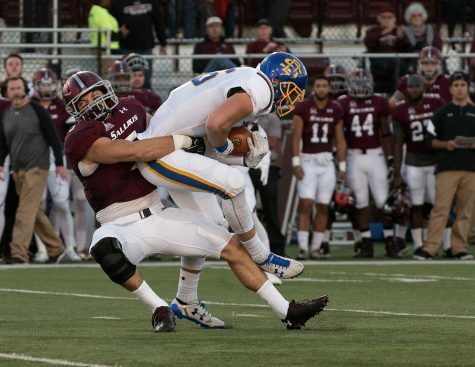 SIU will look to turn the victory into a winning streak at 11 a.m. Saturday at No. 15 Youngstown State in Youngstown, Ohio.